I was pretty certain that I’m not the kinda girl to enjoy a Musical at the Theatre. I had assessed, years ago, that they were probably a little too saccharin and happy-clappy for me to sit through. 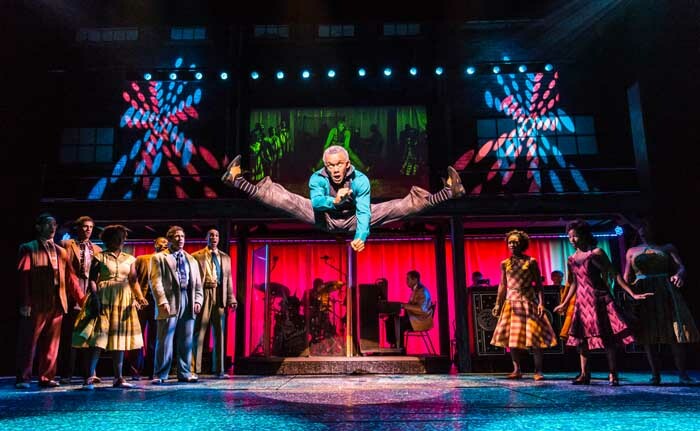 Not that I don’t like a trip to the Theatre, I absolutely do, I adore a night watching a play or a movie on the big screen, the escapism enthralls me but, singing and dancing….meh, not for me. But on Tuesday night I totally proved myself wrong. 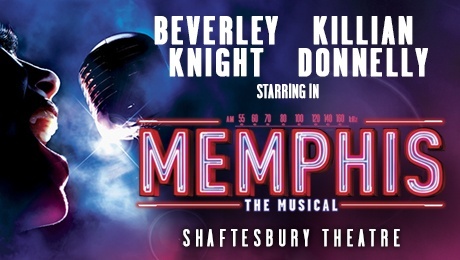 Coming out into the blustery streets of London from a too-busy tube journey- the kind where strangers are all a little to close for comfort- my Mum and I arrived at Shaftesbury Theatre, expecting a somewhat mediocre show. ‘Probably a painfully cheery display of over eager performers’ we thought, but, we were shown something way superior. 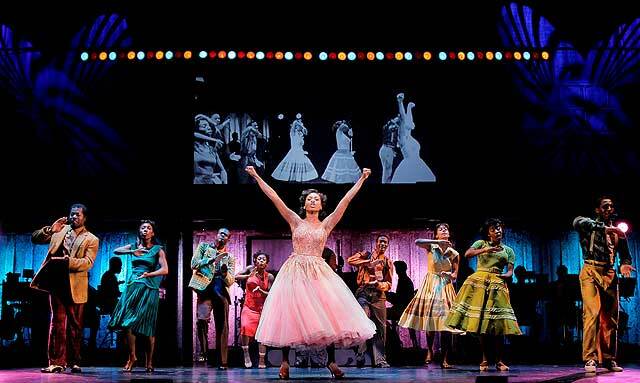 From the very first second that ‘Memphis The Musical’ sprang into action, we were hooked, big time. What an invigorating show we were given! 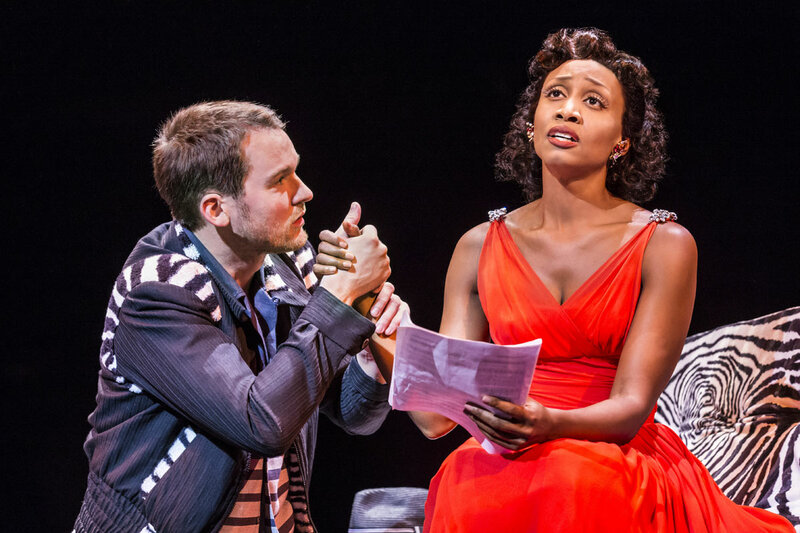 Produced by Christopher Jahnke and starring Beverley Knight and Killian Donnelly, this multi award winning and energetic show told a totally readable tale about the birth of black music into mainstream America in the 1950’s. I, of course was mostly taking a keen peep at the clothing, especially as the 50’s is one of my favourite fashion eras, and, I wasn’t disappointed with that either. Esteemed Costume Director Paul Tazewell has created a total feast for the eyes. Often in theatre, you see more reproduction vintage as it’s easier, more dance and sweat proof, the originals sometimes being too fragile and scarce to be used night after night sustaining so much wear and tear. But, having a pretty good eye for what’s the real deal in old clothes, I could see from my seat that much of the fashion was -hooray- original, and I was all the more excited because of it. Lead Beverley, whose voice literally took my breath away, wore some super cute dresses, and a couple of gorgeous pencil skirts and knits too. All very typical of the American fashions at the time, the kind of 50’s clothes that most gals drool over, the epitome of the era. She wore one red chiffon cocktail dress which particularly made my eyes pop and the added sparkle to many of her dresses meant she shimmered and dazzled under the lights like a doll. The dancers all gave great costume too, each one in perfectly authentic wares from the time, some in Capri pants and tight knits and others in their full skirted glory; perfect for their exaggerated moves. It wasn’t cartoonish like say, Grease, it was more honest, more mature and a great display of what real people in Memphis would have afforded. The guys were pretty snazzy too, quite often, and probably quite rightly, men’s fashions are overlooked and dull in comparison to women’s, that’s true for all eras; ladies fashion is just more exciting as a rule. But here, we had gold lurex suits, checked gabardine jackets, Cuban shirts and trilby’s, totally brilliant. And boy did they wear them well! Those gals and guys can dance and sing, jeepers, a standing ovation was the obvious ending to the night! 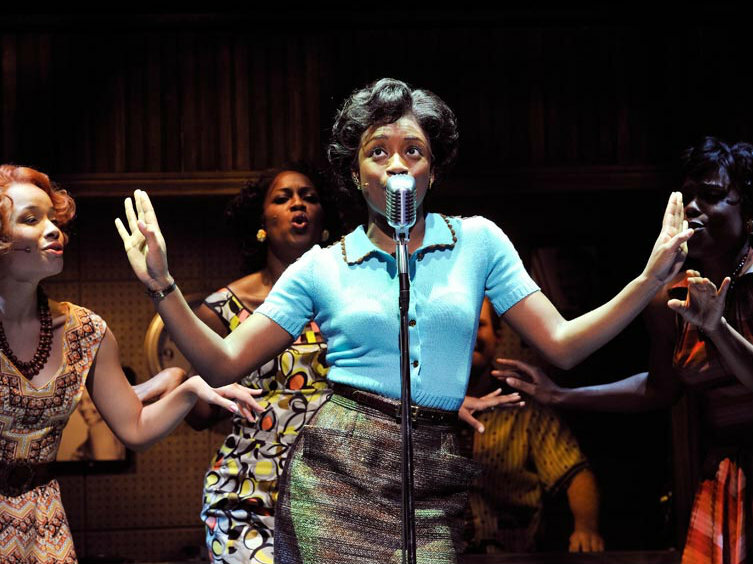 You could say that this fantastic musical makes a very slightly lighthearted story of an important racial movement in history, it doesn’t get too deep or harrowing even though we know the reality was harsh. 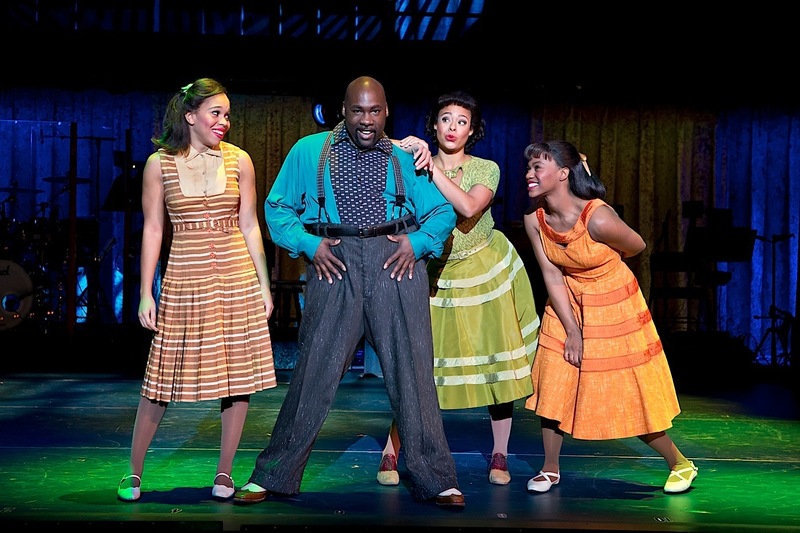 But it does give a brief glimpse into the situation of racial inequality in 50’s America, whetting your appetite to learn more, and giving you exactly what you want from a night at the theatre: entertainment and a smile on your face as you leave. I’m converted, I loved it, I Thought it was nothing short of excellent and simply cannot fault it one bit. And the vintage fashion made it not only brilliant, but very beautiful too.